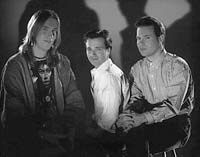 From Milwaukee, Wisconsin, USA, the VIOLENT FEMMES were Gordon Gano (vocals/guitar), Brian Ritchie ( bass) and Victor De Lorenzo (drums). They recorded a debut album (released through Rough Trade Records in the UK). Its rough, acoustic style was tempered with intriguing songs and lyrics. This first eponymous album (1982) included two critically-acclaimed singles "Gone Daddy Gone" and "It's Gonna Rain" (both released 1984). The second album Hallowed Ground featured the classic Violent Femmes composition, "Country Death Song." After the release of 'The Blind Leading The Naked' there was a break in the band's output as the individual members released solo projects and it was not until 1988 that the band produced their fourth offering, entitled '3'. HERON formed in 1967 when Roy Apps, Tony Pook and guitarist Robert Colins played gigs at the Dolphin folk club in Maidenhead. Influenced by Dylan and The Incredible String Band, with the addition of Martin Hayward they were signed to Essex Music by the late legendary producer Gus Dudgeon. Heron were among the first bands signed to Pye's prog-rock imprint, Dawn. For their debut album their ranks were swelled by keyboard player Steve Jones Jones and Gerald T Moore (later known as GT Moore). Uniquely, Heron's first album was recorded 'al fresco' by the Pye Mobile in a middle of a field by the Thames. It failed to win widespread attention in spite of a conducive climate in the early seventies with folk rock bands like Fairport Convention, Amazing Blondel and Magna Carta. Heron's second LP, a double, was again recorded outdoors and featured original material and several covers. Once again, the album sank into oblivion. Of the band members, most went on to back the singer Shusha whilst GT Moore later formed GT Moore and the Reggae Guitars who had some success on the pub rock scene. Steve Jones, Tony Pook and Roy Apps continued to play together in the folk club scene in the late seventies and a cassette-only album released in 1981 was effectively the original band's swansong. A further album - 'Hystorical' - was released in 1991. In 1997 the three remaining band members recorded a 'new' album in the same Devonshire back garden as 1971's 'Twice As Nice And Half The Price'. The album was released through Steve Jones' Relaxx label with a video which traced the band's thirty-year history. The albums 'River Of Fortune' and 'Black Dog' came out of these sessions. The band was joined on these recordings by guitarist Gerry Powers. 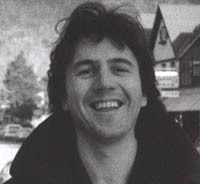 The turning point in ROGER MORRIS' musical education was the release of The Band's 1968 album Music From Big Pink, prompting him to take up piano. Signed to the music publishers Carlin Music, Morris produced a debut album distributed by EMI/Regal Zonophone and released in 1972. First Album took its cue from The Band, Dylan and Van Morrison but sat well with the growing country/pub rock scene fashioned by the likes of Matthews Southern Comfort, Help Yourself and Brinsley Schwarz. The album was never promoted by the label and despite critical acclaim was destined to become a collector's piece. Morris emigrated to the States in 1980 and spent the ensuing couple of decades playing in local bands and solo. Since 2000 he has released two CDs Light Up The Road (2001) and Beholder (2004). STONEY EDWARDS was born in 1929 and grew up listening to country stars like Jim Reeves and Roy Acuff on the Grand Ole Opry on WSM Radio. In the fifties he played music on a part-time basis but he took several jobs during this period and suffered carbon dioxide poisoning whilst working in a shipyard. This brought on memory loss and then, returning to work, he suffered another accident and broke his back. It wasn't until 1970 that he appeared at a benefit for his country hero Bob Willis and was spotted by the attorney Ray Sweeney who suggested he contact Capitol Records. Soon after, Stoney was recording demos of 'Two Dollar Toy' (a song prompted by his daughter's wind-up toy and the situation he found himself after his accident) and 'Cute Little Waitress' and was subsequently offered a deal. 'Two Dollar Toy' became a chart hit in January 1971. 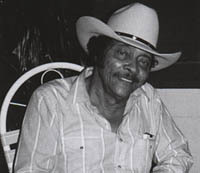 Edwards had fifteen chart entries during the seventies, his contract with Capitol ended in 1978 and he was signed to JMI Records. In the eighties he retired from music to work on his brother's farm. Again he suffered further health problems including an accidental self-inflicted gunshot wound. He recorded two more albums, in 1986 and 1990, but died in 1997 from cancer.